The U.S. Army’s 1st Armored Division handed off control of Operation Inherent Resolve’s land component to the 10th Mountain Division at a ceremony in Baghdad, Iraq, on Monday. 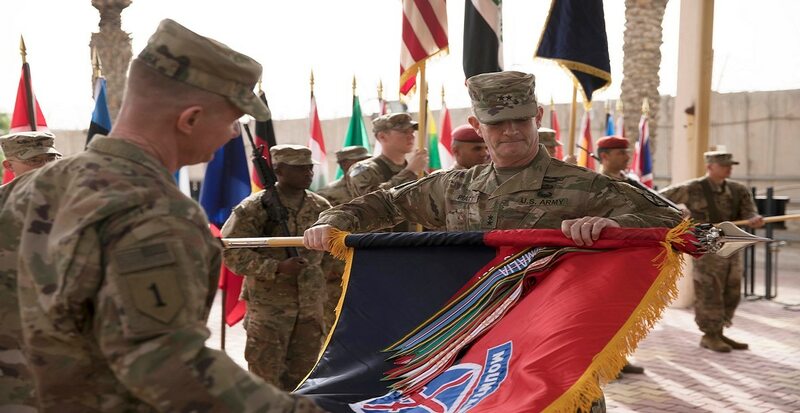 Maj. Gen. Walter Piatt, commander of the 10th Mountain Division, assumed authority at the coalition’s headquarters on Forward Operating Base Union III, U.S. Central Command officials said in a press release. Operation Inherent Resolve’s land component represents 75 nations and international organizations working to defeat the Islamic State and stabilize the Iraqi government. The 1st Armored Division, out of Fort Bliss, Texas, had been in control of the mission for the past nine months. The “Mountain Soldiers,” from Fort Drum, New York, assumed control as part of a headquarters consolidation within Operation Inherent Resolve’s Joint Task Force. In the release, officials said the consolidation is intended to be a step in the direction of reducing overall U.S. troop-levels, as requested by the Iraqi government. “The Iron Soldiers saw the end of the tough fight to seize the crown jewel of ISIS’ so-called caliphate in Mosul,” Lt. Gen. Paul Funk II, the coalition commander, said using a nickname for soldiers within the 1st Armored Division. “Life is beginning to stabilize in liberated areas, but the battle against this barbaric enemy is not over,” Funk added. The shift in command, and the alleged shrinking footprint of U.S. forces in the country, comes as the Islamic State of Iraq and Syria appears to be nearing its end. Army Gen. Joseph L. Votel, the commander of U.S. Central Command, told the Senate Armed Services Committee last week that the defeat of the remaining ISIS holdouts is within reach. "In the past year, we have achieved incredible success against [the Islamic State] in both Iraq and Syria," Votel said. 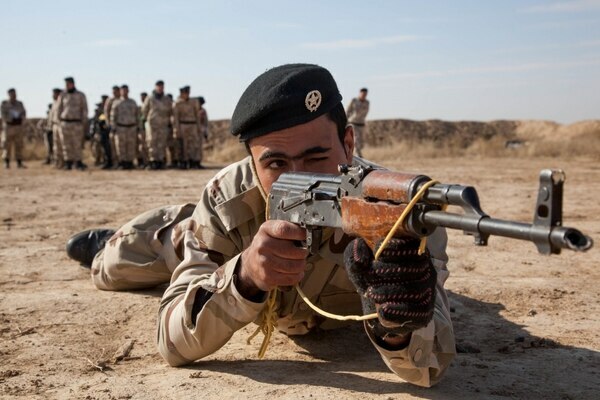 "The destruction of the ISIS physical caliphate is within our grasp." Now that the 10th Mountain Division has taken the lead on the land component of Operation Inherent Resolve, their mission will continue to involve training, advising and arming Iraqi security forces. “As we consolidate our gains in places like Iraq, Syria, Lebanon and Yemen, we remain clear-eyed about the challenges that the region continues to present,” Votel told lawmakers.